On our most popular trip you’ll experience a wonderful stretch of the Niobrara River, from Ft. Niobrara to Brewer Bridge. You'll have plenty of opportunities to spot local wildlife as you pass through the peaceful US Fish & Wildlife Ft. Niobrara Wildlife Refuge, a designated Wilderness area. You will also be able stop and see the Smith Falls waterfall, the tallest in Nebraska. Our Most Popular Canoe & Kayak Trip! Expect a peaceful paddle through one of Nebraska’s most beautiful spots. You can choose between a tandem kayak/canoe or a solo kayak to take in the beauty of the Niobrara River, a Top 10 Canoeing River in the United States. Relax as the spring-fed, slow moving river leads you past the pine covered hills, steep cliff banks and waterfalls. Throughout the first part of your trip, from Ft Niobrara to Berry Bridge you’ll be in the peaceful US Fish & Wildlife Ft. Niobrara Wildlife Refuge, so keep your eyes out for river otters, minks, herons, bald eagles and other exciting bird species! Your trip will pass through this peaceful wildlife refuge. A $3 fee per person is required by the US Fish & Wildlife Refuge for entry into this area. You will be required to have a wristband permit visible at all times. These permits will be available at our office when you check in and will be included as a charge in your billing. Please also be aware that no alcohol, water pistols or radios are permitted throughout the first part of this trip. Once you reach Berry Bridge you’ll be out of the Wildlife Refuge so you can enjoy a cool beverage after this point. There is a small concession stand at Berry Bridge near the river where you can pick up some drinks or snacks. Each member of your group will be required to sign a waiver before embarking on the kayak/canoe trip. Parents are asked to sign these on behalf of their children under 18. 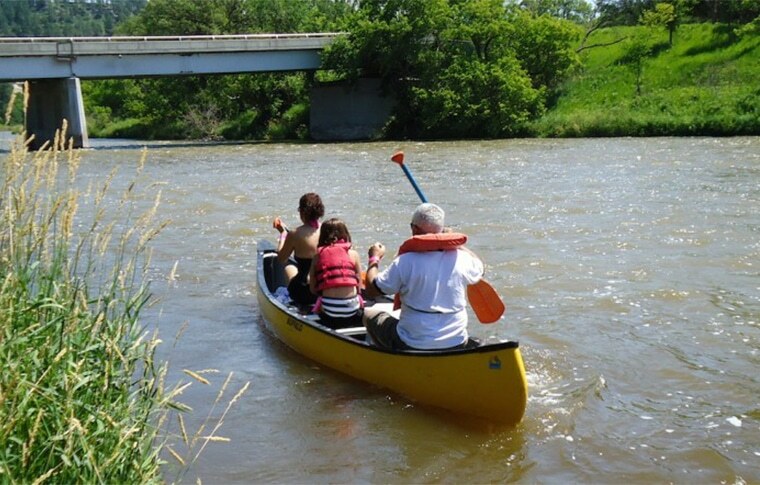 Before you set off on your kayak/canoe trip, we’ll give you a quick safety briefing to ensure you get the most from your trip down the Niobrara River. The river is perfect for beginners as well as experienced kayakers and canoers. With an average depth between 18-24 inches and a current speed of 3-7 mph, our trips are calm and relaxing. We provide life jackets for all trips which must be worn at all times by those under 12. He had everything we needed for our trip. We saw a Blue Heron as we were kayaking. Great trip.